“The Waler”… a breed of horse? Legend or fact? To speak of the “Waler” in the horse world instinctively arouses memories of Australian remounts that went to war with the Australian Light Horse in World War1. This has led many to the emphatic belief that these horses were a type evolved and bred with the express purpose of supplying a warhorse for Military use. 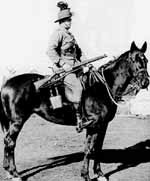 It is not so , they were Australian Stock Horses who happened to be around and available in time of war for military use by Mounted Troops. They were not exclusively used by the Australian Light Horse during World War 1, but purchased in large numbers as mounts for Cavalry Units from India, New Zealand, Britain and other places. They did however have an affiliation with military service long before then, being purchased in large numbers by the Indian Army in the 19th and 20th century. In much smaller numbers they were sold to the Dutch East Indies, the Philippines and Japan. The problem concerning us is how and why they became known as “Walers”. Were they a specifically bred animal for the purpose of war, or were they horse bred by our early settlers for use in our great expanding pastoral industry as beast of burden, for transportation and for pleasure? I maintain the latter is true. I know that there is no such thing as a Waler breeder or indeed an identifiable type distinct from our Australian Stock Horse. Then why call a breed “The Waler” and how did it occur? From our first settled areas of Botany Bay and Sydney, exploration and settlement spread north, south and inland. One of the earliest of these was the Hunter River Valley, which proved to be on of the great horse breeding areas of the world. Pastoralists of English, Irish, and Scottish backgrounds imported the best bloodlines available from their own countries and set about creating history by breeding superb horses for Australian needs. Their task had the advantage of nature’s help by way of climate, soil and pasture eminently suited to horse breeding. When the Indian Army began purchasing remounts for its Mounted Army, the Hunter Valley provided many of its horses. Being the first settled, it had the benefit of numbers and the pastoralists foresight in selecting and importing the best of English and Irish thoroughbred bloodlines. Owning one in India became a status symbol whether used as a military charger, for polo, for pigsticking , or for riding pleasure. To own and ride one was paramount to being behind the wheel of a Mercedes today. The Indian Officers in speaking of these horses classified them as “Walers” because of their New South Wales origin. From then on the term “Waler” was used to designate all of our horses that went to war, regardless of whether they came from Cape York Peninsula, Western Australia or anywhere else in between. To call them a breed is nonsense. They have always been Australian stock horses bred for that purpose and no other. That they proved suitable for remount usage is something our early pastoralists can take credit for. I have no gripe about them being known as Walers. I too am happy to call them that. 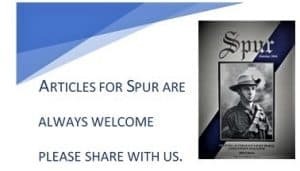 After all, those that were used for military service deserve a distinctive title by which to remember them. The Australian Soldier is universally known as a ‘Digger” and it would be wrong to suggest that he was bred for war. Both he and the Waler happened to be available when needed for that purpose and proved more than adequate to the task without thought of generic engineering. Rupert a black gelding 15 hands, 3 and one half inches foaled on “Grosvener Downs” west of Mackay in 1897 with the brand 2GD/20. Purchased by King Edward VII in 1906. 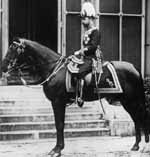 When he died in 1910, Rupert was ridden by King George V at the funeral. Rupert was again ridden by King George V in 1916 when he reviewed the Australian Troops commanded by General Monash whilst in camp on Salisbury Plain. Lieutenant Guy Haydon riding his gallant mare “Midnight”. During the second battle for Gaza “Midnight” remained continuously under saddle for 7 days . Haydon rode “Midnight” in the Charge at Beersheeba and both were shot as they reached the Turkish trenches, however Haydon was not mortally wounded.